I think I read the book in a day, or maybe a weekend. I found it just as sweet, thoughtful, and unique as promised. However, I neglected to hunt down the author’s other books, and when I began hearing about The Storied Life of A.J. Fikry a few months ago, I did not make the connection. I put two and two together just in time to see Gabrielle Zevin speak at Porter Square Books this past Monday. “A flop” can mean two things in publishing: it can mean that the book was terrible and/or got bad reviews, but it can also mean that the book was decent, even good, but didn’t merit significant attention, and was buried beneath the next season’s books. Margarettown is still on the shelves of fourteen of the libraries in the Minuteman Library Network, so while it may be out of print, it’s still available; it may find fans yet. On to the matter of inspiration: where do her ideas for books come from? “Most of my books have started with a question.” For A.J. Fikry, there were two questions: What is the importance of bookstores to the world? And what effect do the stories we read have on our lives? During the Q&A, Zevin spoke again about debuts. Her first two books were published quite close together, and while Elsewhere was successful, Margarettown was less so; its publisher actually folded, and the book is now out of print. Zevin said, “Everybody has a sad story about a first novel…Most of the time everyone fails. Most of the time everyone gets it wrong. How do you get over failure? You keep working…A lot of debuts are not a writer’s best work.” She added, “The work is separate from people’s response to it,” which struck me as a sensible and wise perspective to maintain. I haven’t yet read The Storied Life of A.J. Fikry (though it’s next on my to-read list), but I know the eponymous main character is a bookseller. (Zevin read a funny passage wherein Fikry elucidates to the sales rep, Amelia, all the kinds of books he isn’t interested in.) 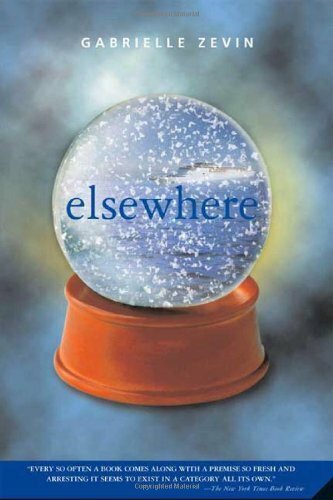 However, Zevin said, “A.J.’s [literary] tastes aren’t mine.” She’s a keen observer of other people’s reading habits, and noted that spying on people’s reading on the subway is much harder now because of e-readers. 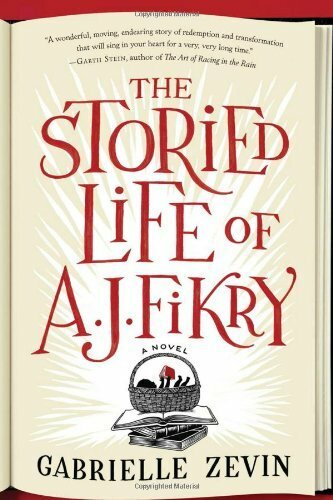 I’m really excited to start reading The Storied Life of A.J. Fikry, and maybe some of Zevin’s other books too. You can see all of her books on her website, and if you live in the Cambridge area, check out the upcoming events at Porter Square Books. Do you read Poets & Writers? The March/April issue has an article about novelists primed for success after first books that “flopped,” like Margarettown allegedly did. I used to read every issue when I worked at the literary agency and it came to the office, but I haven’t read it as much since then. I will see if I can find that article, though, thanks!